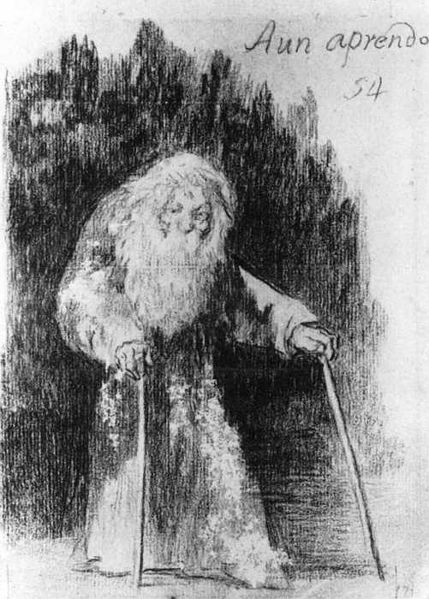 As Goya expressed so well in this drawing, “I still learn”. Challenges in this terrible and beautiful life are but wind in our sails. No sooner have we reached the zenith of our existence, life humbles us and shows that there is much more to it, much more to be learned. So I work, I study, I keep learning from everything and everyone around me. I’m an English Philologist based in Spain, passionate about writing and literature and its history. Here, you will find bits and pieces which revolve around those passions. so that our lives get mutually enriched.